Does Eating Your Greens Prevent Hair Loss? Belgravia Centre Hair Loss Blog > Blog > Hair Loss > Does Eating Your Greens Prevent Hair Loss? Children the world over have been told by their parents for generations, ‘if you eat your greens your hair will curl’. Once maturing into adults we quickly learn that there is no truth in the curliness part of the saying, but is it possible that eating our greens could otherwise help with the general health of our hair and prevent conditions like a receding hair line or pattern balding conditions? Iron plays an important part in helping deliver oxygen and other nutrients throughout the body including the scalp through the bloodstream. Prevention of certain hair loss conditions, or when promoting regrowth, requires a good flow of blood to the hair follicles. Soybeans and lentils are particularly high in iron, as is Popeye’s favourite vegetable, spinach. Essential for cell regrowth, Vitamin A prevents hair from becoming brittle and breaking. New hair cells need to be developed on a constant basis to maintain strength and appearance. The health of a person’s scalp and hair follicles are also directly reliant on a good supply of Vitamin A, otherwise they may experience a mineral deficiency-related form of hair loss. Sweet potatoes are high in Vitamin A, as are carrots and spinach. Men and women who are experiencing a receding hair line should ensure a regular intake of these kinds of vegetables. Vitally important for the absorption of other vitamins and minerals, zinc helps maintain the body’s levels of these critical nutrients. There is also some evidence to suggest that Zinc plays a part in maintaining hormone levels which can play a part in certain hair loss conditions such as Male Pattern Baldness and Female Pattern Hair Loss, also known as Androgenic Alopecia. A number of green vegetables can provide decent levels of Zinc including peas, broccoli, asparagus and spinach. Adding the equivalent of one cup of each of these vegetables will help ensure the correct level of Zinc intake for healthy hair. Although eating plenty of green vegetables can help prevent hair loss, it may not always be enough to stimulate regrowth following significant shedding from conditions such as Androgenic Alopecia. 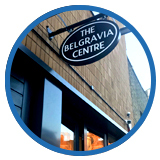 Here at The Belgravia Centre depending on their specific needs, our clients may have prescription medicines prescribed as part of a wider treatment plan. Belgravia’s personalised hair loss treatment plans include medically proven treatments and, where appropriate, supplementary hair growth supporting products; complementary therapies designed to use alongside the medications. A hair loss specialist is also always available to offer advice on how you can improve lifestyle or diet to ensure the healthiest hair growth.